China has made great progress in building a national social credit system in recent years, having handled millions of cases and issued millions of travel bans on people with bad social credit, official statistics showed. As of the end of 2018, Chinese courts nationwide had issued verdicts on 12.88 million cases of individuals and entities with bad social credit. 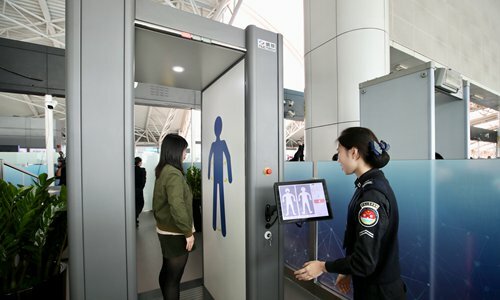 This action led to 17.46 million bans on individuals from taking flights and 5.47 million bans on taking high-speed train, according to a report the Supreme People's Court of China (SPC) released on Wednesday. These penalties are an important part of China's push for a national system, said Li Junhui, a professor at the China University of Political Science and Law. "The market economy is based on contracts. Those who break contracts are duly punished through a connected social network. This arrangement promotes economic development," Li told the Global Times on Thursday. Li said social credit risks are in line with China's economic development level as defaulters are concentrated in more developed regions. Such restrictions on dishonest entities have already had an effect, as another 3.51 million delinquent debtors had repaid their debts to avoid credit penalties as of the end of 2018, the report said. The SPC started to advance the delinquent debtor system in 2013. In 2016, the court signed agreements with about 60 government agencies and other organizations including the National Development and Reform Commission, the top economic planner, to promote the establishment of a mechanism that supervises, warns and punishes overdue debtors, chinanews.com reported. The mechanism includes 150 penalties such as prohibiting defaulters from holding public office, taking air and high-speed train travel or making property purchases, the report said.